Happy New Year!! !This is my first post of the year!! !I hope you all had a fantastic time over the holidays!! 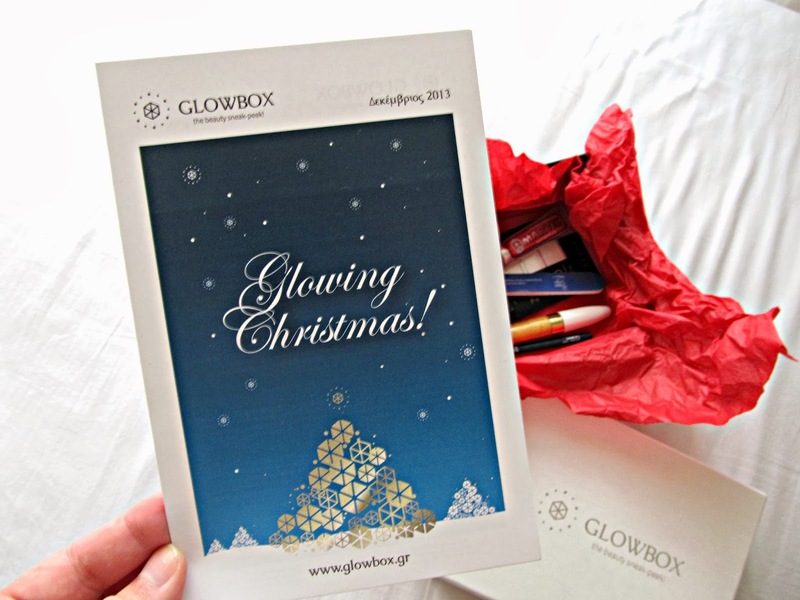 !So just before Christmas I got the December Glowbox!! 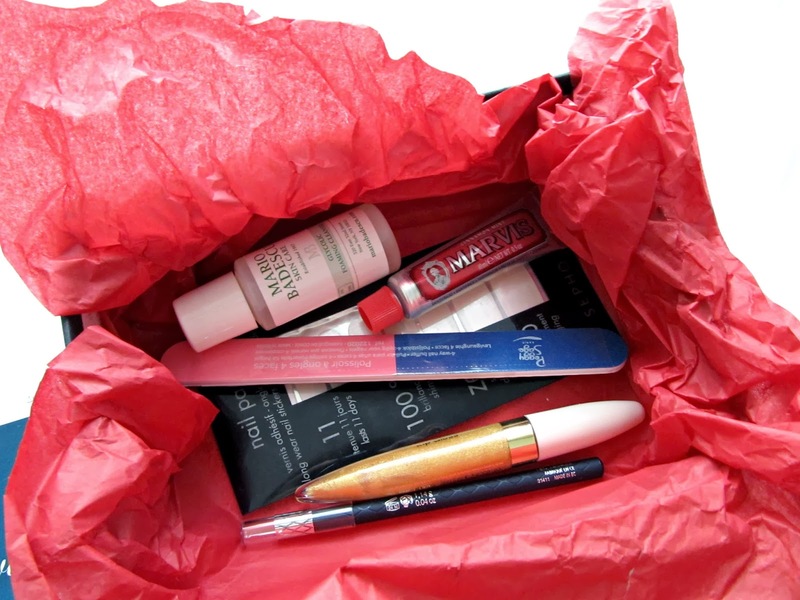 Glowbox is a monthly subscription box in which you get samples of beauty products, it's like Birchbox and Glossybox!! !You can only get it in Greece and it costs 12 euros! Overall I give this box 6 out of 10 stars!! !I was really excited to see that there was a Mario Badescu product included since you can't find them where I live and I always wanted to try something from the brand! Also I was really happy to see the Marvis toothpaste, again something I wanted to try out, mainly because of the adorable packaging! !I did try out the nail patches from Sephora and loved them, I have never tried something similar before and I was surprised by how easy the application was it took me about 2 mins to do both hands!! !The eye pencil and the nail filer were ok nothing impressive really!! And what really disappointed me was the lip gloss Flormar as a brand is not bad but this lip gloss is completely useless it's strait up gold glitter, a yellowish shade of gold glitter which in my opinion is not even pretty, this is definitely not wearable though if you like to look like a disco ball, a gold disco ball to be exact you may like this!!! Wait now that I think about it this may come in handy on Halloween!! 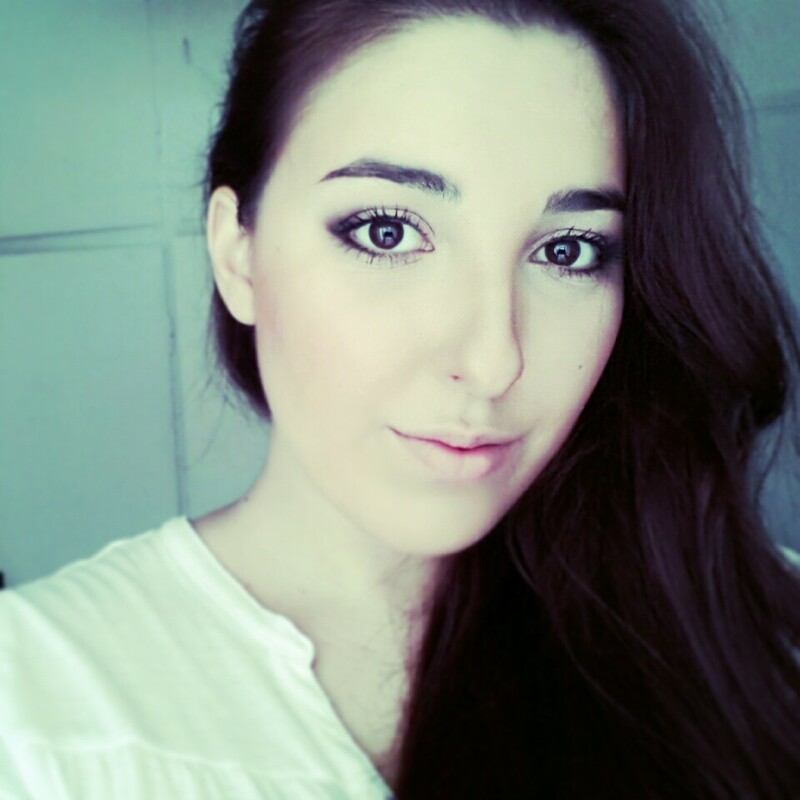 I hope you enjoyed my post and thnx for stopping by my blog!!! You are a lucky girl.Enjoy! Nice products!! would you like to follow each other with GFC and Bloglovin? yeahh I can't wait to try it out! Δαφνουκοοοο τελειο το μπλογκ!!! το έχεις κάνει πανέμορφο!! !